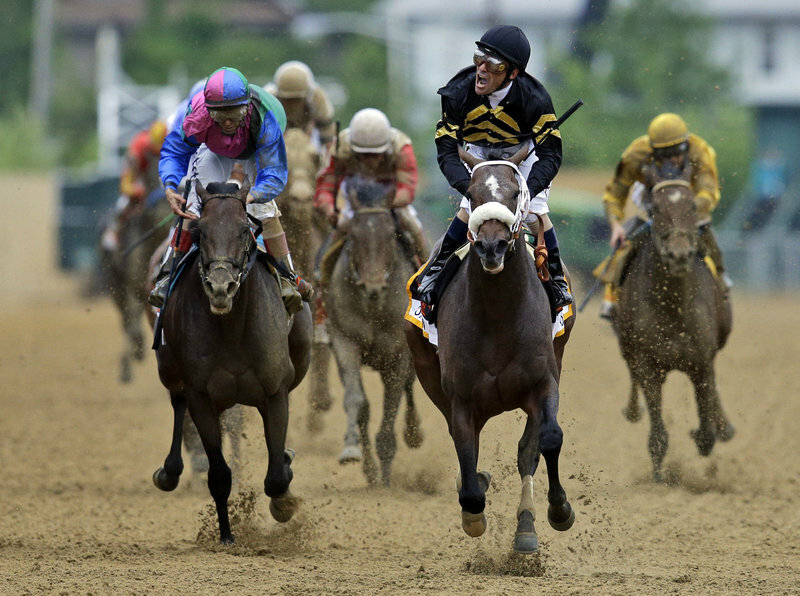 Oxbow and jockey Gary Stevens lead all the way in the Preakness, ending Orb's five-race win streak. 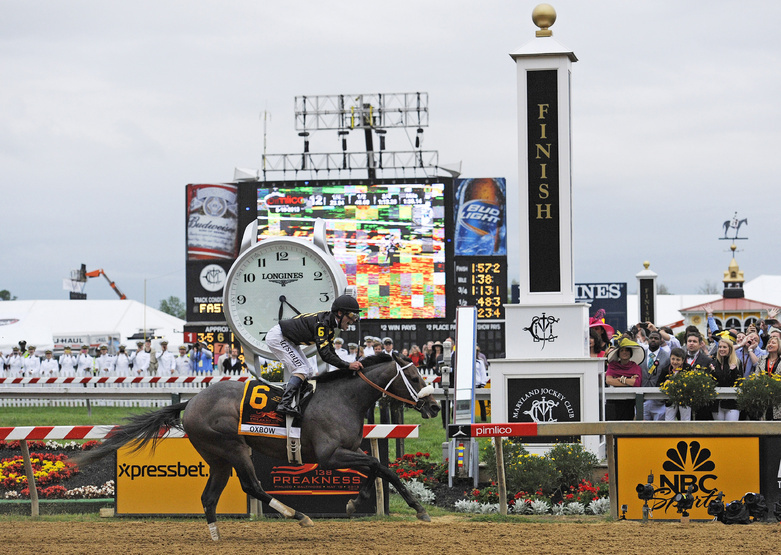 BALTIMORE – A pair of not- so-over-the-hill Hall of Famers pulled off a huge upset in the Preakness and ended any hopes of a Triple Crown attempt at the Belmont Stakes. 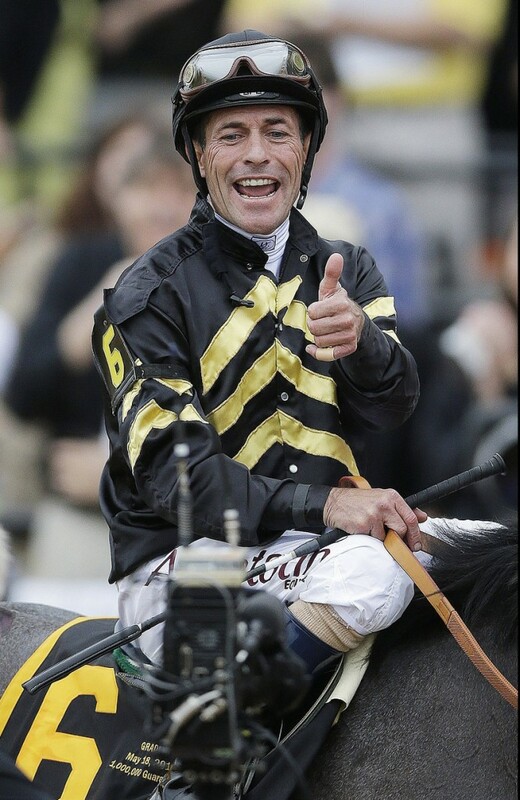 Thanks to Oxbow’s wire-to-wire win Saturday over Kentucky Derby winner Orb, trainer D. Wayne Lukas and jockey Gary Stevens have themselves another classic to add to their stellar resumes. Stevens ended his retirement in January, and won his third Preakness to go along with three victories in the Derby and three in the Belmont. Lukas put Stevens on his first Triple Crown race winner when the rider guided the filly Winning Colors to victory in the 1988 Derby. Orb was unable to find his rhythm after breaking slowly from the rail, and never challenged in finishing fourth. Orb’s loss extends the Triple Crown drought to 36 years since Affirmed became the 11th horse to sweep the races in 1978. There had been great anticipation the sport would get another Triple try just a year after I’ll Have Another won the first two races but was scratched the day before the Belmont with a tendon injury. But nothing could get past Oxbow. Lukas won his sixth Preakness to move one behind Robert Wyndham Walden for most wins in the second leg of the Triple Crown. The victory was a long time coming for the dean of trainers. The last time he won a Triple Crown race was the 2000 Belmont with Commendable. And before that, he was a regular in the winner’s circle after classic races. The first trainer to gear his operation to Triple Crown races, Lukas took a run at the coveted prize in 1999 with Charismatic. The unsung 3-year-old won the Derby and Preakness, but broke his leg in the stretch of the Belmont while finishing third. 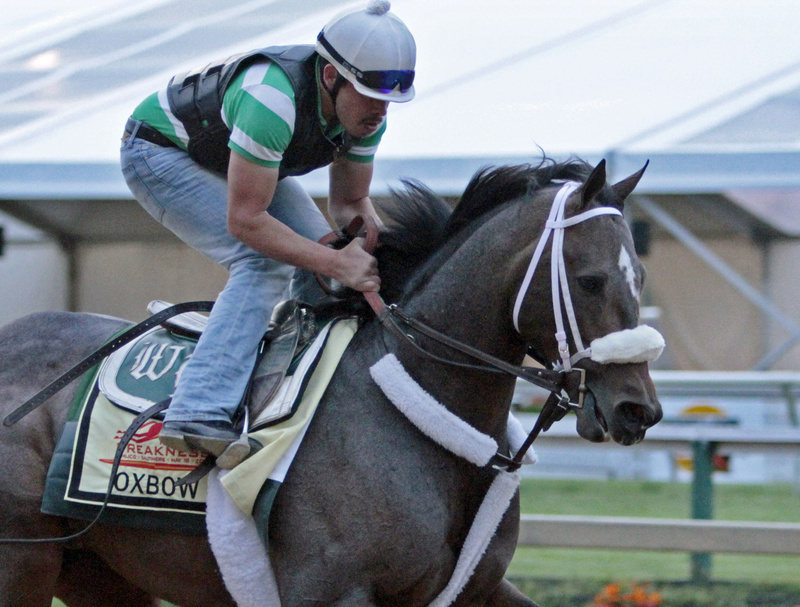 Oxbow, sent off at odds of 15-1, took charge from the start out of the No. 6 post and beat Itsmyluckyday by 13/4 lengths. Mylute, with Rosie Napravnik bidding to become the first female to win the Preakness, was third, followed by Orb, Goldencents, Departing, Will Take Charge, Govenor Charlie and Titletown Five. Orb’s trainer, Shug McGaughey, so confident in the two weeks leading up to the race, was gracious despite his disappointment. He also recalled a brief conversation with Lukas a few days earlier. Orb came into the Preakness with a five-race winning streak and many expected him to win easily. But it wasn’t to be on an overcast windy day at Pimlico Race Course, where 117,203 fans turned out. Oxbow went to the lead ahead of Goldencents and opened some daylight into the first turn. Orb, who broke slowly as expected from the No. 1 gate, wound up in a cluster of horses around the turn and into the backstretch. While Oxbow was cruising along in front, Rosario tried to find room outside but found his path blocked. Orb dropped back to the inside, and perhaps frustrated without any space to run free like he did in the Derby, fell back to seventh and was never a threat in the stretch.